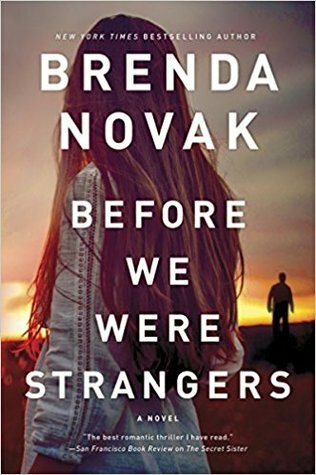 Before We Were Strangers by Brenda Novak is a wonderful read. It’s full of emotions running sky high. Immediately, I was drawn into the main character. Her thoughts and fears felt like my own. Sloane’s pain became my own the moment I met her. Sloane was viewed from the beginning as nobody to her family and those in New York. But running from her demons and losing her only friend, leaves her facing them head on. There was a streak of determination and strength flowing from this woman. I could not turn the pages fast enough. The entire novel was like this. Character driven…plenty of action and just enough insight to make it feel real. Overall, I enjoyed reading this contemporary piece if fiction. I recommend it to women everywhere. Before We Were Strangers is a very deep yet dark tale.